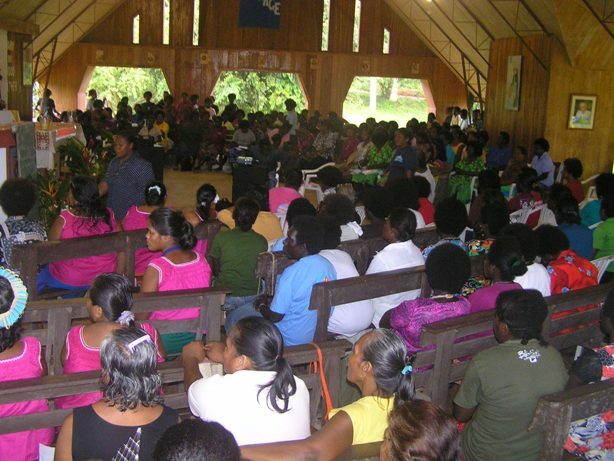 Women’s group Gizo Celebrate Women’s Jubilee. 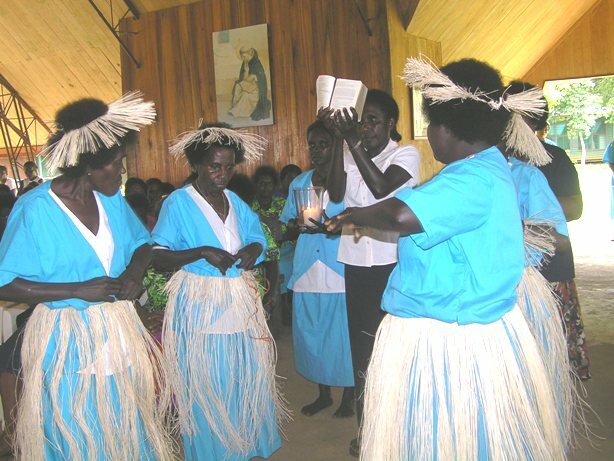 Their program began with the matching parade along the Street of Gizo were many other women from other Denominations congratulated them for their achievement until their 25th Jubilee celebration. 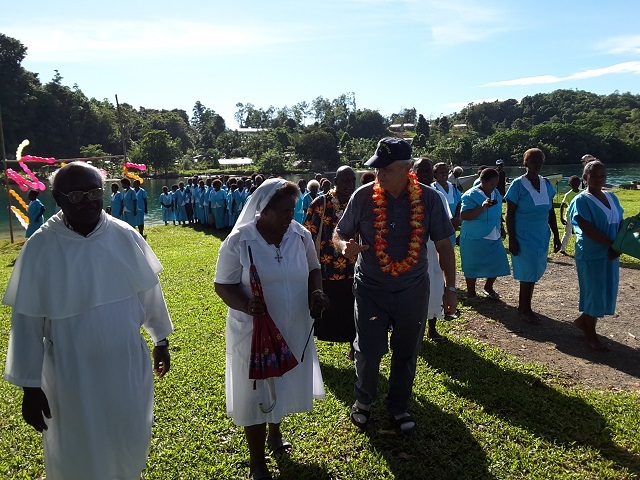 Following the parade an Eucharist Mass was celebrated with a colorful procession and liturgy led by the Women’s group here in the parish of Gizo. The main celebrant was Fr. Lawrence Kimaere who focuses his homily on “the Virtues of Mary” the Mother of Jesus. Fr. L. Kimaere op congratulated the mothers to keep alive the Church, community and their family for their commitment as mothers. He reminded them to become like Mary the Mother of Jesus. Fr. 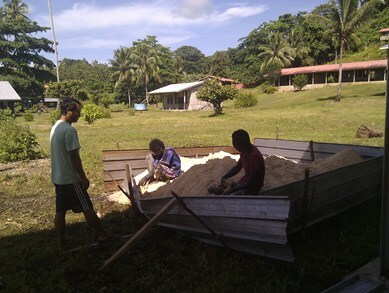 Kimaere also affirmed them for their role at home, and take up responsibility where there is any help. He then challenged other mothers to know their role as mothers for a husband and children, and for the Church. Programs of activities also organized with different speakers, and until Sunday, August 20, more women turn up to celebrated the Eucharistic Mass. Again, Fr. 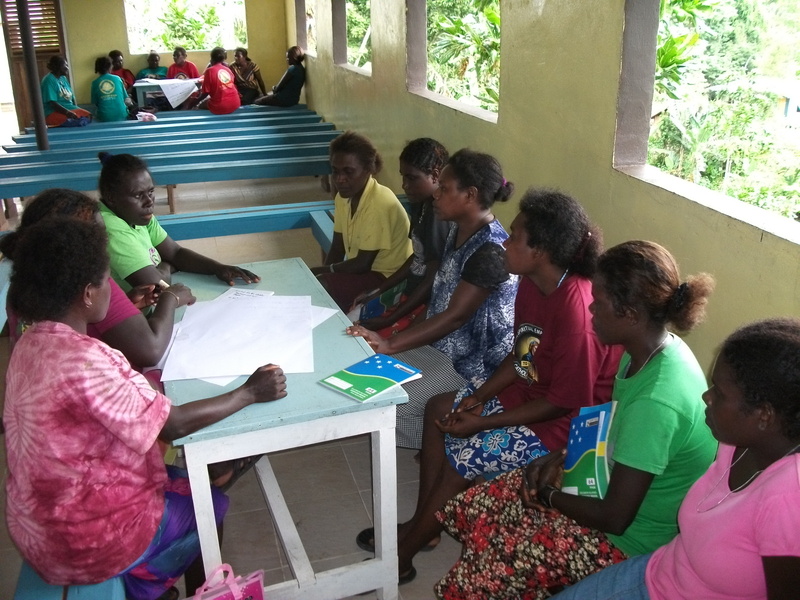 Lawrence challenged the mothers to reach out to other mothers to other Island in the St. Peter’s Parish Gizo, challenging them to get more mothers in the role of Mary the Matron of the Catholic Women in the Diocese of Gizo. The program also kept the husbands busy preparing catering for the mothers until the successful completion of the 25th Jubilee Celebration on Sunday Afternoon. More Women’s from Kavata, Moli and Wagina were grateful to participated and have the opportunity to attend the Women’s Strengthening and Communications listening Skills Training Program. 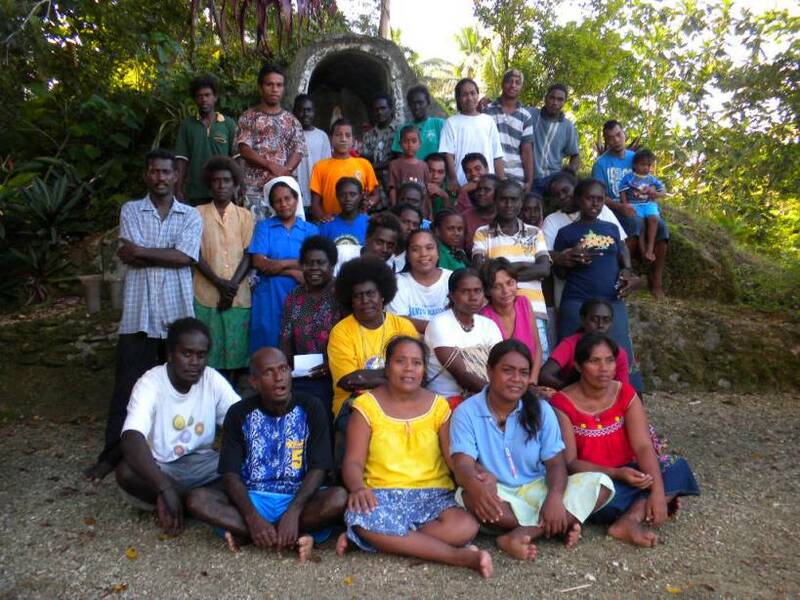 35 participants representing their parish (Wagina, Moli, Sirovanga, Nila, Gizo and Noro) have completed a 5 days seminar from 10th to 14th May at Wagina Parish Cookson. Mostly are females and some of them are youths and kindergarten teachers. The Seminar mainly was to teach participants on sounding of the letters and constructing words out from those soundings. However, as it was a Pidgin spoken seminar and many words are spelled in Pidgin rather than English. 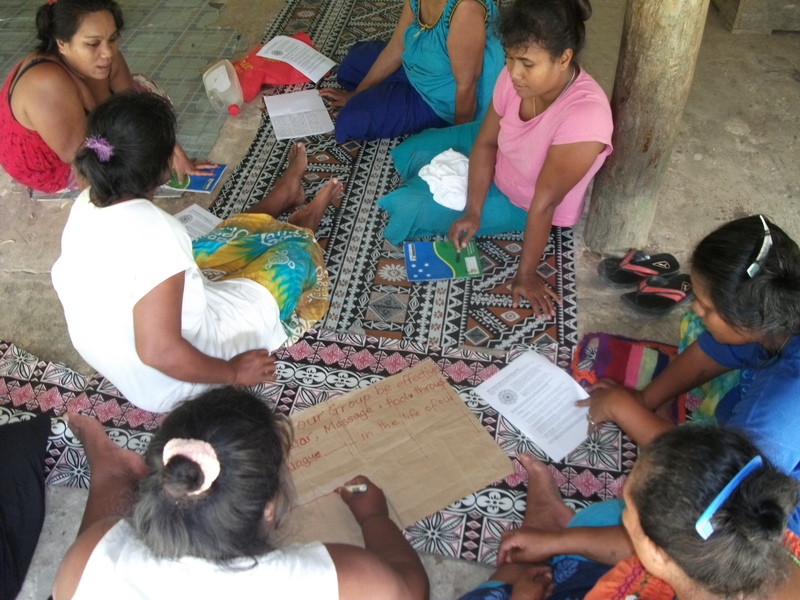 During the seminar they were put in groups for – practicing teacher teaching the class. The Program was facilitated by Sr. Evangeline DMI from Diocese of Auki with the help of Janet Burabura. A Mother Encourages, a small work rather than Appreciation. A mother in her 60's asked people around every parish to support diocese projects. 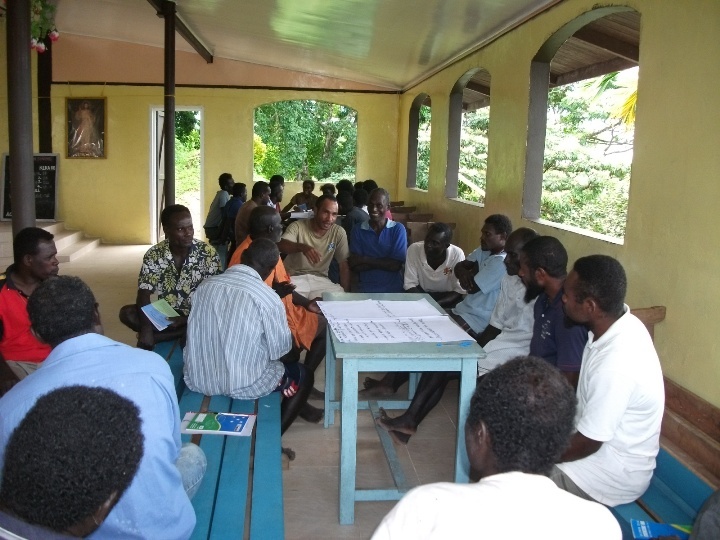 She said it is time to reflect back the past how our people involved helping our first missionaries to build the Diocese of Gizo. A mother wish not to mention her name said that she is tired to hear people appreciated what the bishop and those benefactors did by establishing school here in our diocese. 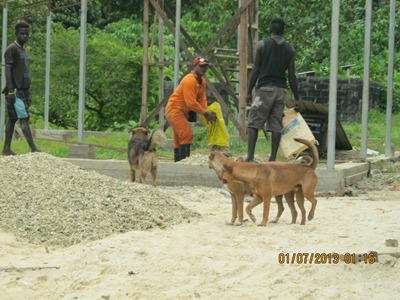 She said that appreciation is enough to keep us going, but let show our appreciation by involving helping the workers by giving them a support such as getting gravel and sand or timber to the project sites without being paid. There are a number of strong women's groups in the Diocese. 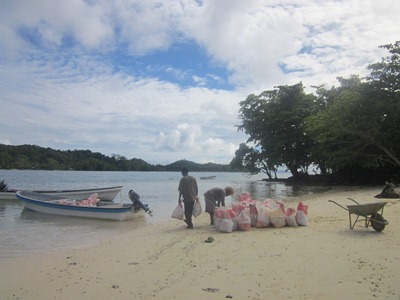 Here we see representatives from Gizo and surrounding islands setting off for a Diocesan Women's Rally which was held in Nila, Shortland Islands at the end of 2003. The M.V Ozama Toomey (shown here) was chartered for the event. 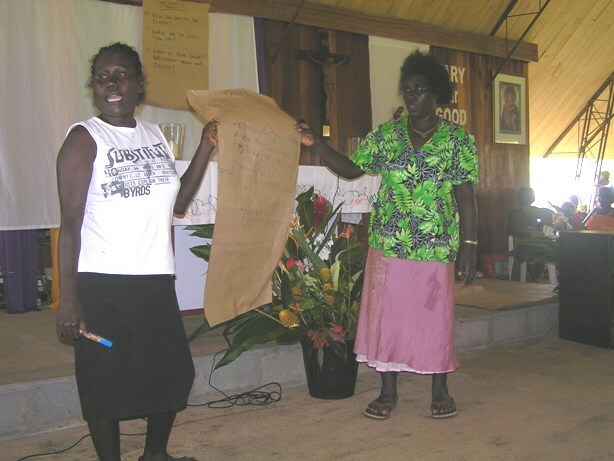 More than 250 Mothers from the Catholic diocese of Gizo were involved in the week Rally at St. Dominic Vanga Rural Training Center from 2nd - 7th December 2009. The Rally commenced with the colorful parade. The theme, "We United to Serve Our Diocese" really a challenging theme which Bishop Luciano Capelli's presentation on "Dynamic Fedility" , reminded every mothers the 50 years the Diocese went through.